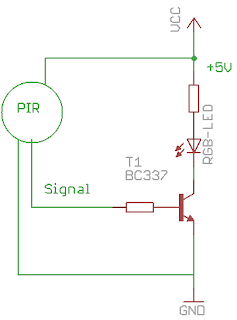 hey could you tell me what kind of transistor that is, or which one, i'm using this sensor for my electronics project but it doesn't seem to be working in my circuit, so i'm testing to see if it actually works on this kind of a circuit. My circuit attached above is a working, you can reference it. Hi, I used your test circuit but it didn't work )= Also I wanna asked of how many ohms are your resistences ??? Hi, I used your test circuit but it didn't work )= . I wanna know of how many ohms are your resistances??? I really forget the Ohms, but I remember it should be < 100 Ohms.